What do you think of when you hear the term mental health? It commonly refers to mental health problems, such as severe depression, but we can also think of our mental health in terms of an asset, like physical fitness. We are then inclined to focus on what enhances our well-being beyond the norm. 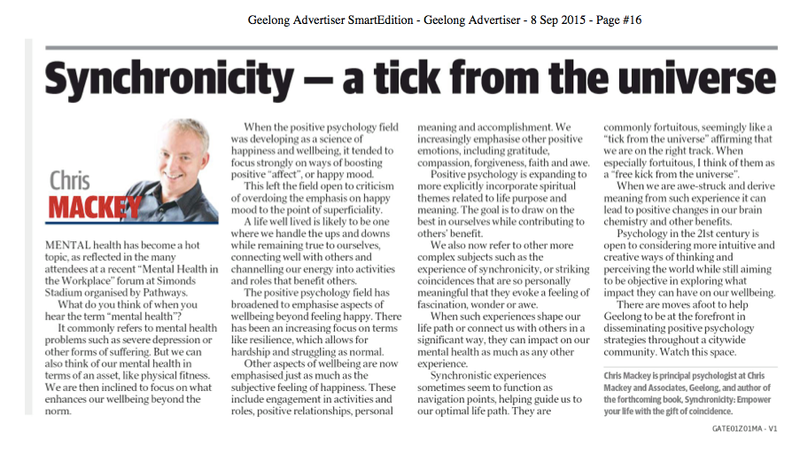 This article looks at some of the other aspects of mental well-being, beyond just a subjective feeling of happiness, particularly in the context of acknowledging synchronistic experiences that can function as navigation points, helping to guide us along our optimal life path.